The Reichsfuhrer visits the killing grounds! 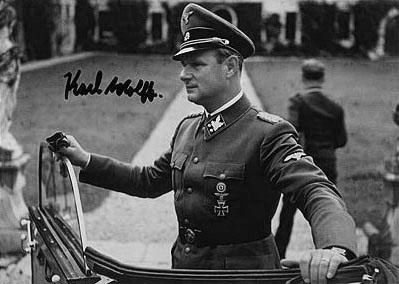 SS – Obergruppenfuhrer Karl Wolff who served as Himmler’s adjutant recalled that during a trip to Minsk on 15 August 1941 recalled that Himmler “asked to see a shooting operation,” and Einsatzgruppe B Commander Nebe arranged such an execution of 100 people, 98 men and 2 women. 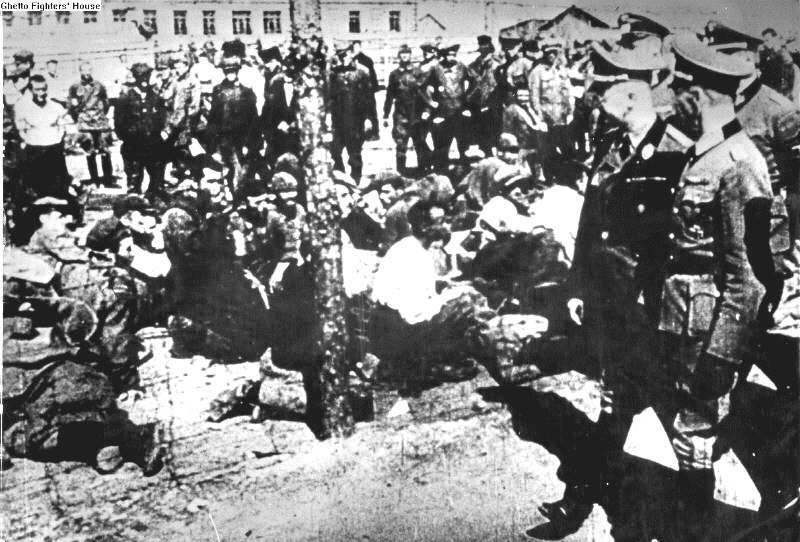 Wolff was present at this action and he remembered how Himmler, just before the firing was to begin, walked up to a doomed man and put a few questions to him. Are both your parents Jews? 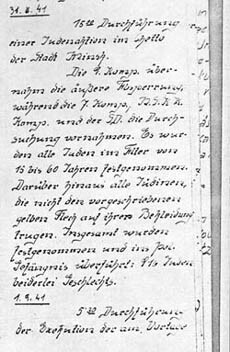 Do you have any ancestors who were not Jews? An open grave had been dug and they had to jump into this and lie face downwards. And sometimes when one or two rows had already been shot, they had to lie on top of the people who had already been shot and then they were shot from the edge of the grave. And Himmler had never seen dead people before and in his curiosity he stood right up at the edge of this open grave – a sort of triangular hole – and was looking in. While he was looking in, Himmler had the deserved bad luck that from one or other of the people who had been shot in the head he got a splash of brains on his coat, and I think it also splashed into his face and he went very green and pale – he wasn’t actually sick, but he was heaving and turned round and swayed and then I had to jump forward and hold him steady and then I led him away from the grave. 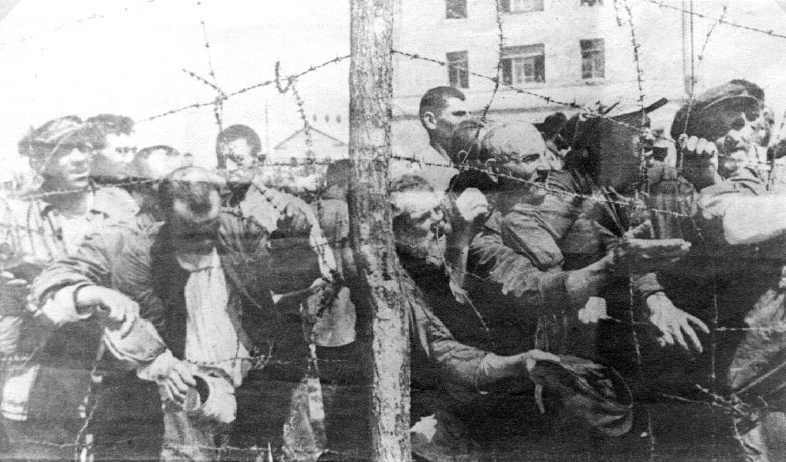 After the shooting was over, Himmler gathered the shooting squad in a semi-circle around him and, standing up in his car, so that he would be a little higher and be able to see the whole unit, he made a speech. He had seen for himself how hard the task which they had to fulfil for Germany in the occupied areas was, but however terrible it all might be, even for him as a mere spectator, and how much worse it must be for them, the people who had to carry it out, he could not see any way round it. They must be hard and stand firm. He could not relieve them of this duty, he could not spare them. In the interests of the Reich, in this hopefully Thousand Year Reich, in its first decisive great war after the take-over of power, they must do their duty however hard it may seem.